The character running on one of the many courses of the game. First, games of Pokémon always came out in a 2 + 1 pattern. Think about it: first we had Blue and Red, followed by Yellow. Then Silver and Gold, followed by Crystal. And finally Ruby, Sapphire and Emerald. There was so much hype when Emerald came out. The reason is that one, every third game was already great but second, Hoenn itself had something the others regions didn’t have. I dunno what it was, but at the time Pokémon Emerald came out we, the kids, felt that was the definitive Pokémon game. Pokémon Emerald had way more 2vs2 battles than it’s predecessors Ruby and Sapphire, plus it was the first one to ever introduce many animations for the Pokémons when thrown into the field. Not only that, but the game’s plot was significantly different from the other two. I mean, the general plot was the same but there were major changes in Emerald. First of all, in any Pokémon game, your character needs to stand up against an evil team of Pokémon trainers. But in Emerald, there are two evil teams. Two. And since you’re battling both, it’s clear that you’re kind of the guy who needs to balance these two teams so they don’t get too much power over the other. That’s exactly what you realize during the best cutscene of the game which, if you played it, you will never forget. Rayquaza descending on the earth to calm Groudon and Kyogre. 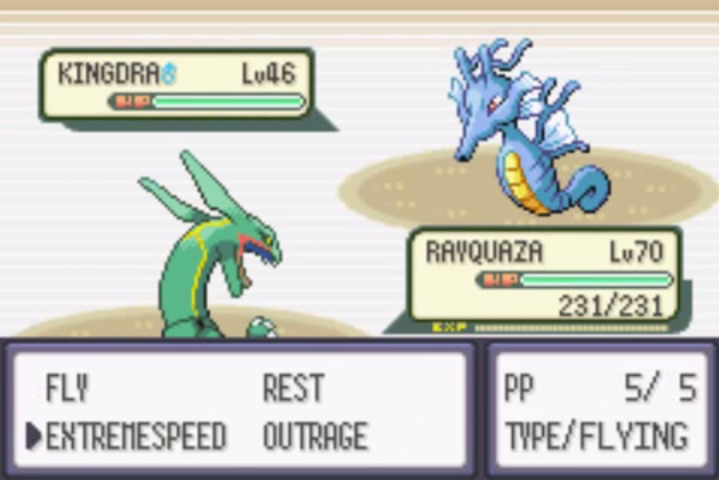 When Groudon and Kyogre, the two legendary Pokémon of the ancient times are battling in front of the final gym, you’re asked to find another ancient legendary Pokémon: Rayquaza. 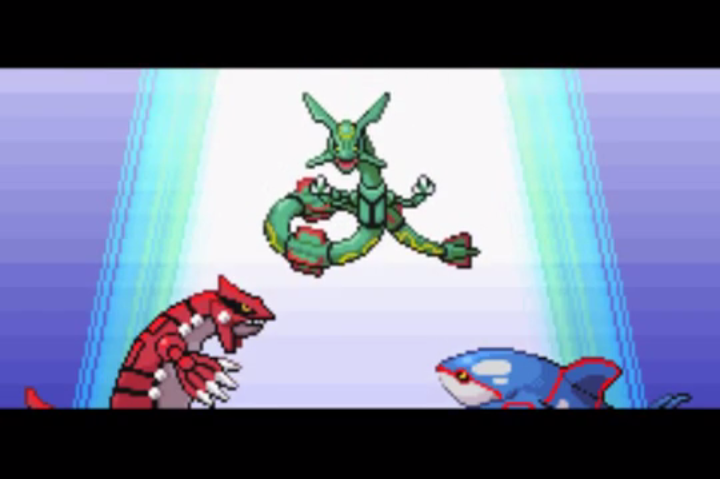 After finding it and returning to the gym, you see the skies open, and Rayquaza descending on the earth to calm down Groudon and Kyogre like it happened when the two Pokémons created the earth and the sea respectivly. It’s clear by that point that Rayquaza represents the character (you) since it’s green and you wear greenish clothes, and as you balanced the two evil teams, Rayquaza balanced the two legendary Pokémons. Rayquaza fighting the 8th Gym Leader’s Kingdra. And what about the mysteries of the third generation? The Regi’s puzzle for example. I wonder how many kids actually got by themselves how the underwater cave works. Now that was a great puzzle for a Pokémon game. And what about the myths? One that stands atop the others is the mystery of the white rock. We all know it can be turned into Jirachi with a cheat code, but I remember when I saw my friends play in elementary school, we had so many theories about that: someone said that if you launched 100 rockets from the space station the rock would become Jirachi, some said you would have travelled to the moon and there you could find Deoxys. See? These things are what make a game worth playing. Mysteries and legends. Same as what happens in many chapters of the GTA series. 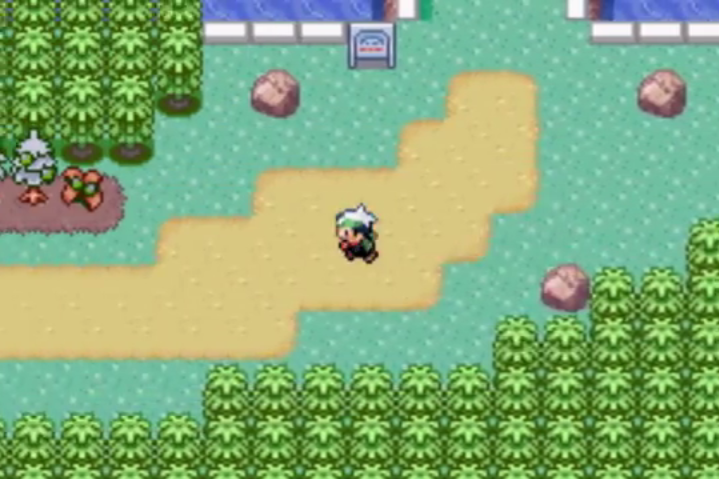 Pokémon Emerald was a great Let’s play. And believe it or not, it’s not even finished. I still have to release the final episode where I defeat the Battle Tower leader, but as of today I can’t beat her and I probably never will.